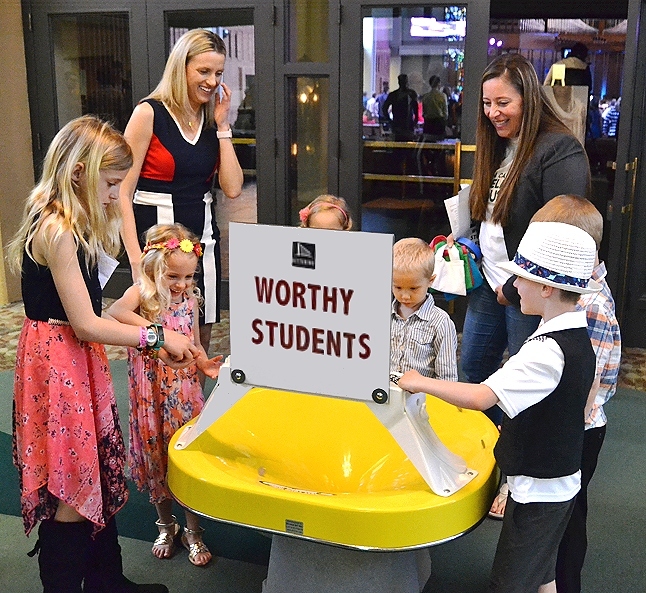 Spiral Wishing Wells have generated over $1 billion in churches and other charities around the world since I built the first one in 1985 as an offering device for the children in my local church. It quickly turned into a business as museums, zoos, charities, stores, and restaurants from around the world began to use them for their fund raising programs. I never imagined it would be so large or last so many years. A church in California raised $40,979 in one day. 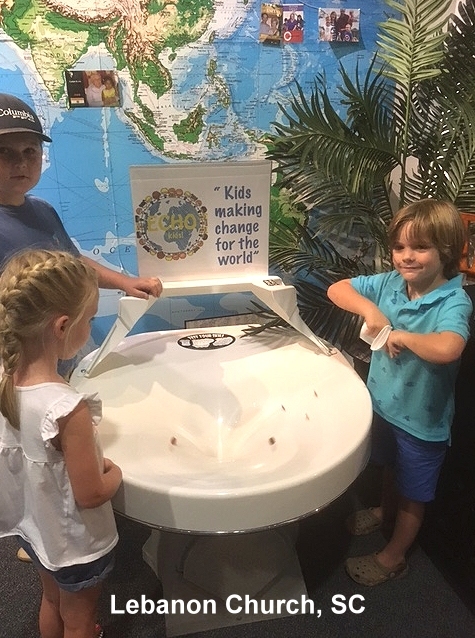 Charitable funding needs are greater than ever, and children who tossed coins into the Wells in the 1980's now show their own children how to do it. The attraction is still the same: People of all ages love to watch coins spin around in circles at eye-blurring speeds seeming to defy the laws of gravity as they descend the nearly vertical walls of the vortex funnel. Please click on the picture from Japan which illustrates how fascination and fun sounds the same in any language. 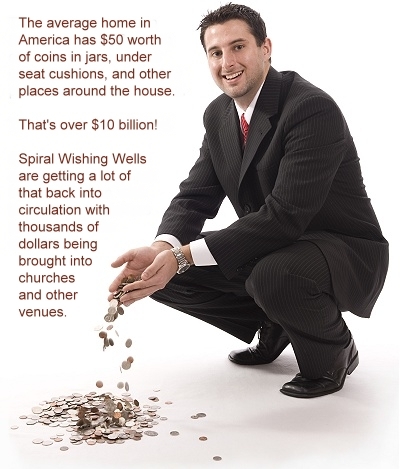 Spiral Wishing Wells are being used more and more in churches, so we have tailored a program specifically for churches that includes offerings, fund raising, and using it as an outreach too. It also includes the idea of a family "adopting" the Well and managing it as a family project. 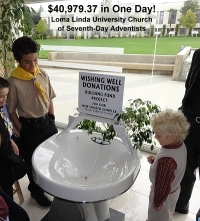 Churches have three aspects that are uniquely different than stores, restaurants, museums, and other locations that use Wells to raise money for charities. The first two are advantages and the third is a disadvantage. Churches have the ability to communicate to members before and during a fund raising event or campaign. Stores can't do that and depend only on casual walk-by customers to toss in coins. This advantage is described in more detail in our strategy recommendations. Members have a vested interest in the project. Store customers don't have a relationship with the charity. So the motivation to participate is much greater for church members. A church can say to its members, "If you are collecting coins at home, remember that you can't take it with you!" Stores and other charities don't have that eternal point of view. For example, this was said at a church event, and an elderly couple donated $15,000 worth of silver dimes they had been collecting for many years. The downside of placing a Well in a church is that the same people will be passing by the Well on a weekly basis, so the income can taper off over time. Therefore, we do not recommend that churches get Wells if all they are going to do is place them in their own space. But you can turn that negative into a HUGE positive for your church with the Outreach Loan Option described below. Click here to read how a church raised $40,979 in one day! For example, one of the suggestions for a planned event is that a church can invite its members to, "Bring all the loose change from your home next Sunday." The average home in America has over $50 worth of coins, most of it usually on Dad's dresser! 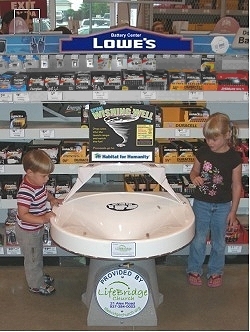 But children also can get involved hunting for coins in seat cushions and the laundry room. We provide several other suggestions in our strategy page linked above. The Outreach Loan Option takes the disadvantage mentioned above and turns it into a huge positive. Whether your church has 50 members, or 5,000 members, this option will be great for you. You can loan your Well to schools, charities, libraries, service clubs, and other fund-raising events in your city WITH YOUR NAME ON IT as illustrated in the pictures on this page. This is a great way to tell your community that you are involved, and to invite them to visit your church. And by not having it in your church every week, it keeps it fresher for your members and families. Schools will want it for their athletic events and all other charities and organizations in town will use it for their events. These include mainstream charities like Habitat for Humanity, Red Cross, Boy and Girl Scouts, YMCA's, United Way, Humane Societies, etc. ; and also libraries, civic events in the town square; service clubs like Rotary, Lions, and Kiwanis; and corporate events. These are all great places for your church's name and invitation to be seen. Referrals: We receive requests from around the world on a regular basis from charities that just want to use a Well for a day or a weekend. But because of the shipping costs, it is impractical for us to do that from our location. We would love to be able to refer inquiries from your area to you. You can either loan your Well free, or for a rental split of the revenue. While getting additional income from a rental split has its advantages, loaning it free is an even better way to get your church's name and invitation out in the community. In that way, it will be a very effective outreach ministry. When you loan your Well, it is usually to a one-day or weekend event. These events are always heavily promoted and often include media coverage. The borrowing charity will gladly and publicly thank your church for the Well from their microphone and in their written programs, so it is a lot more than just the "Provided by" sign on the Well. Simply stated, there is no other way to get so much exposure on a year-round basis for such a small one-time cost. A press release template that announces the availability of the Well to your community. A direct-mail template if you want to send it directly to charities. A one-page loan agreement that basically outlines the borrower's responsibility to pick up and return the Well. A page that includes promotional ideas for maximizing the event income. As an outreach ministry, a single volunteer or family can easily handle the loan process for your church. The borrowing-party comes to pick up the Well and brings it back...so managing the Well is very simple. We NEVER receive any splits or portion of the coin revenue. 100% of the funds raised go to the church, charity, or project listed on the included sign above the Well (which is easy to change as needed...it just slips in under the plastic). 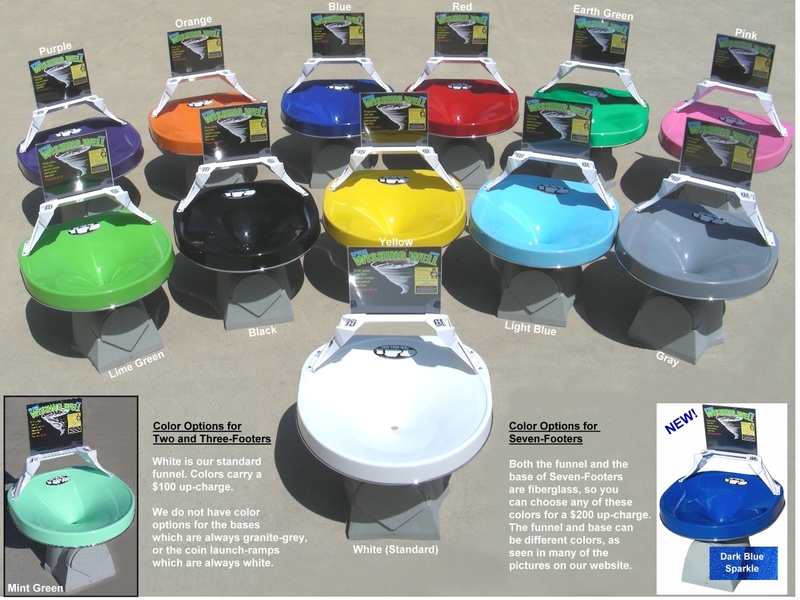 The commercial-usage cost of Two and Three-Footers (measurement across the top) is $1,995 plus $100 for color. Seven-Footers are $6,995 plus $200 for color, but too large for most churches and not as portable for the loan option. Most churches get Three-Footers. Project Kindness has pledged up to $100,000 in Assistance Grants for churches this year. 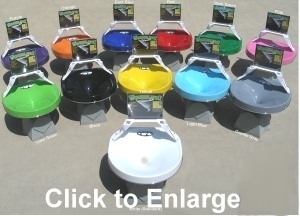 They will pay $500 of the cost which makes your share $1,495 plus $100 if you want color). 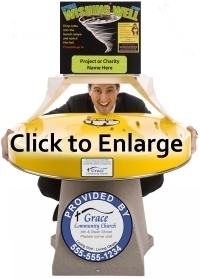 If you are a large church and might want a Seven-Footer, they are commercially $6,995 and Project Kindness will pay $2,000 of the cost taking your share down to $4,995. The grants are paid up front, so you don’t have to wait for it. All churches are pre-qualified, so no application is necessary. We only invoice you for the balance. Important: The grants are available until the fund is gone. 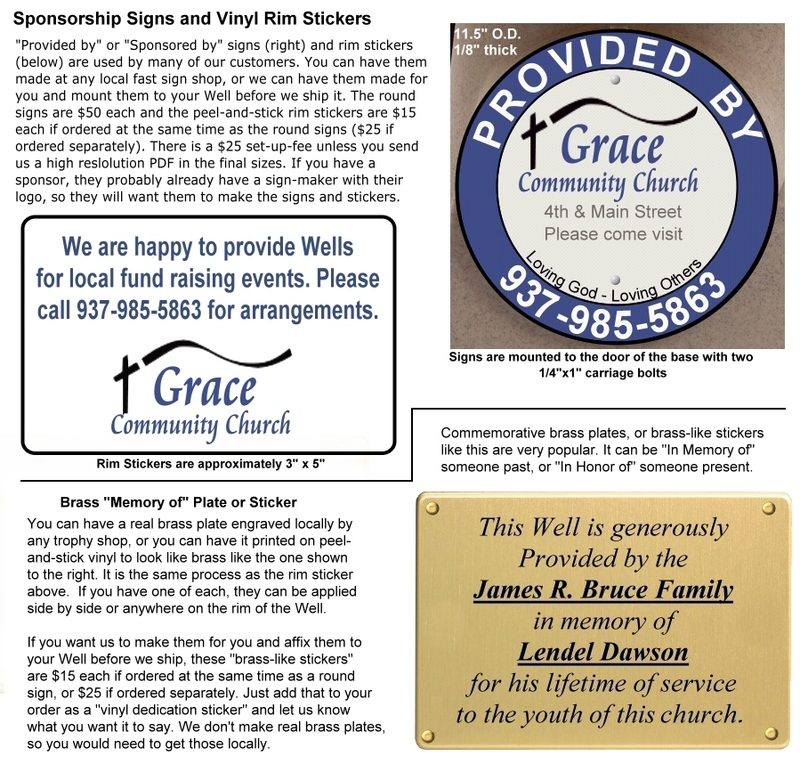 Most churches ask a member or family to sponsor the Well, and suggest that the sponsoring family do so in honor of, or in memory of a person in the church that has been a leader and positive influence. It is always easier to ask someone to donate money for a specific item than a general fund, especially when that item will multiply that donation to many times its original amount. Please click on the picture of the red Well to see a a close-up of the brass-like sticker, loan sticker, and round "Provided by" sign. Click here to see a 1-page template that you can send or hand to prospective sponsors. This is the FASTEST way to get an individual or family sponsor. Some organizations have gotten a sponsor within an hour of sending this out! Some of your members might want to sponsor a Well and place it in a store or restaurant in their own neighborhood with the church's "Provided by" message. All chain stores raise money for a preferred charity such as the Well at the Lowes store below that is raising money for Habitat for Humanity. These stores will gladly host a Well at no cost to them. This strategy makes a great project for families, gets their children involved in volunteerism and service, and significantly expands the church's presence in the community. 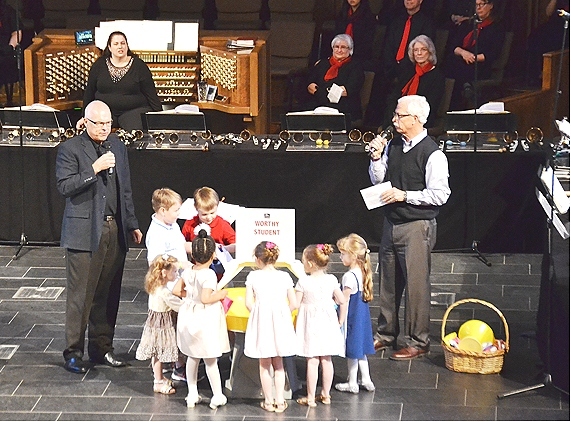 To summarize this optional program, a family provides a Well to stores to raise money for their charity, with the church's "Provided by" sign on the bottom. We encourage churches to adapt the Wells to a "theme" or "campaign name". Some churches call their devices, "Wells of Hope." Another church came up with a slogan, "Coins for Christ," and another "Help spread the Word around and around and around the world!" as a catchy reference to the spiraling coins. Another uses their Well to raise money for their church bus and their theme is, "Help keep the wheels on our bus rolling and rolling and rolling!" Your creativity is the only limit! In addition to funding your missions and other projects, one of the major challenges for churches is developing an active presence in their community...to be known beyond their own membership. The Outreach Loan Option not only accomplishes that goal, it can increase visitors and have a direct impact on attendance and membership. While we can't send Wells out free, they can be basically free to the church with a Project Kindness Grant that covers $500 of the cost in 2019 while the fund lasts, and the remainder either sponsored by a family or paid off quickly from the coin revenue. After we have answered all your questions, all you need to do is fax in the Church Order Form (PDF) and we will ship your Well immediately so you can start receiving revenue and getting positive exposure in your community. You can raise even more if you offer the toys to your members "FREE for a $25 to $50 donation." They can then place them in a central place in their home and use them to collect all the change over a period of time, then bring it in to the church as part of a campaign. Your cost is $16 each, so you raise some money from the donation for the toys, and they help the family focus on the project all year. Click here to read about the "FREE" promotion. The bonus is they are great toys, encourage children to save money, and they are educational. Our Student Guide includes lessons about planetary orbits, tornados, whirlpools, and the physics of the vortex shape. Many people ask if they can use the toys for fund raising, or in their children's departments. After all, they are far less expensive. 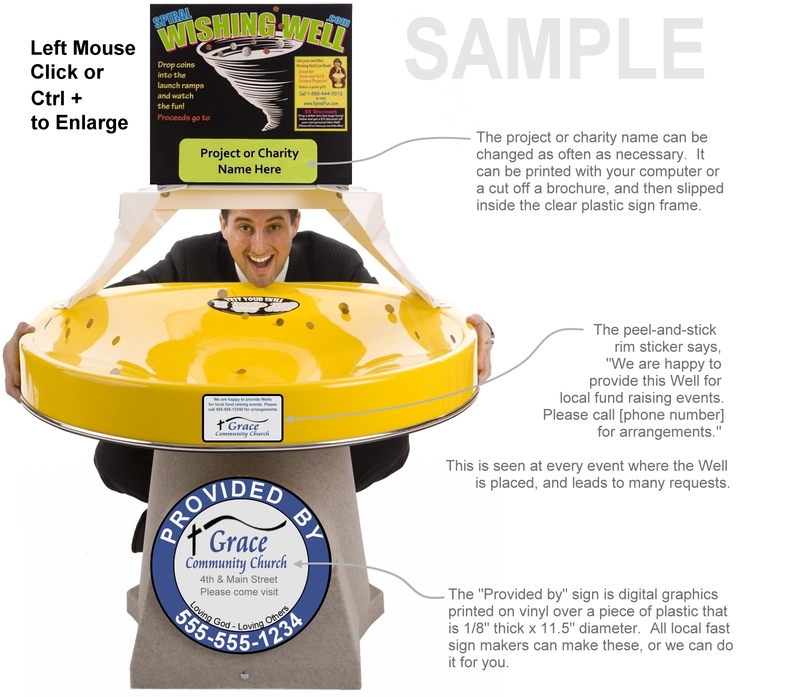 While they can be used for fund raising, they are not nearly as profitable as the floor models, and they aren't suitable for an outreach program. Still, if your church is small and you don't have the ability to purchase the more expensive floor model Well, you might want to consider the toy models. 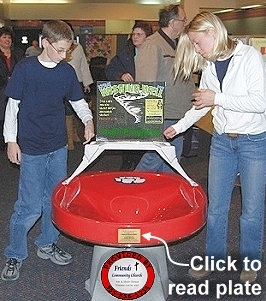 Click here to read how to get the most out of the toys when used for fundraising.